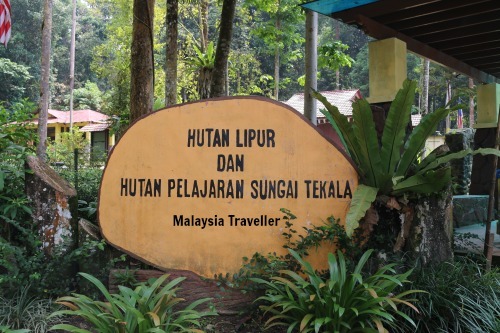 Sungai Tekala Recreational Forest (Hutan Lipur Sungai Tekala) is located 43 km from Kuala Lumpur City in the Hulu Langat area close to Semenyih Dam. 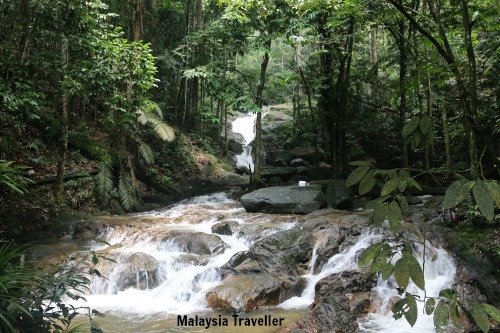 It forms part of the Sungai Lalang Forest Reserve which in turn is part of State Park Forest, also known as Taman Warisan Negeri Selangor. 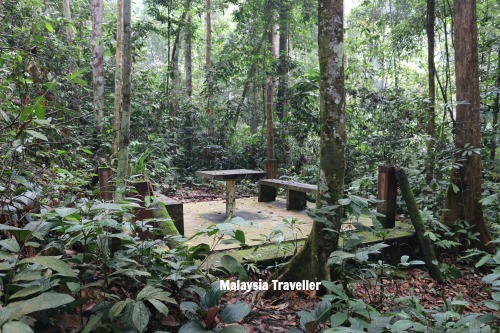 This stretch of unspoilt lowland dipterocarp forest is a very popular place for local residents to picnic alongside a scenic river and bathe in its crystal clear water or hike in the pristine rain forest. It gets busy at weekends and during public or school holidays but the rest of time it is never crowded. Well maintained park. Thanks to Forestry Department of Selangor. 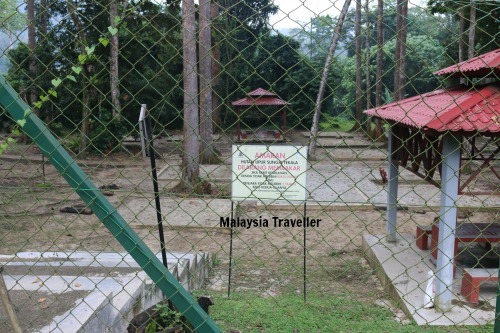 The park is managed by the Forestry Department of Selangor and they seem to be doing a great job. Look how well swept this path was when I visited on a weekday morning. These empty potato chip packets are too heavy to carry home! 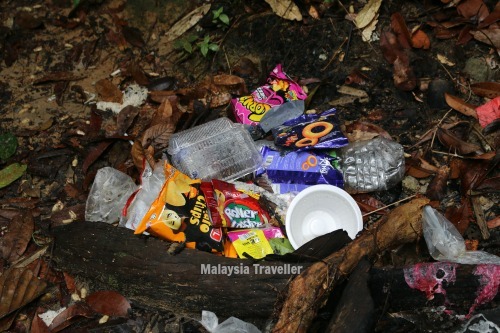 Let's leave them here in this pristine forest. It's OK, they'll bio-degrade in a couple of thousand years time. Of course there are always some litter bugs who spoil things for everyone. There is only one main path, with cemented steps, leading to the cascades. The river is mostly shallow and safe for supervised children. The water was looking very clean during my last visit in May 2017. There had been a lot of recent heavy rain which probably helped flush the area clean. 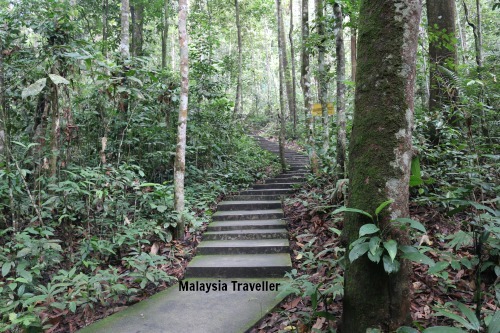 The oxygen-rich forest air was a joy to breathe, though even after the rains it was very humid and sweaty. That’s why the smart people were staying in the water to keep cool. The waterfalls are not high but with slippery rocks they can still be dangerous. 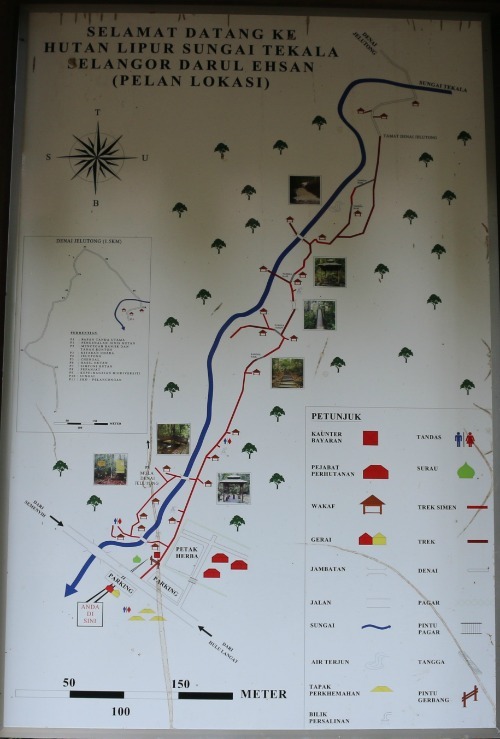 Activities and facilities here include viewing the cascading waterfalls, hiking on the park’s one trail, splashing around in the river, picnicking, camping and nature study. There are a few of these changing huts. 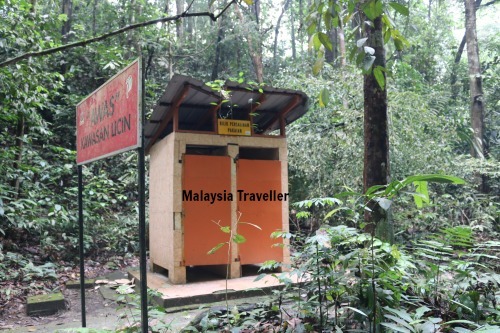 Basic changing huts are available. Fallen branches has demolished the roof of this shelter but most of the gazebos were in better shape. Inform the staff before you start this trail. 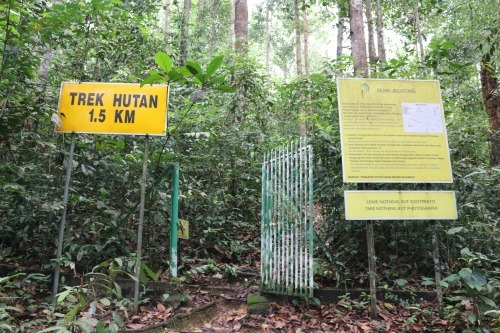 The jungle hiking trail is called Denai Jelutong. It is only 1.5 km long but is a bit overgrown and confusing in places. I went with my son a few years ago and we had to take care not to get lost. This is probably why you have to get approval from the Forest Ranger on duty before commencing the trail. The trail has 11 stops with information boards and will eventually bring you out onto the concrete path in the main part of the park. There are some food stalls near the parking area outside the entrance. They tend to open only at weekends and public holidays. From 7am to 7pm daily, though overnight camping is allowed in the designated camping area. The campsite is on the other side of the main road. The park is located on Jalan Sungai Lalang (B19). 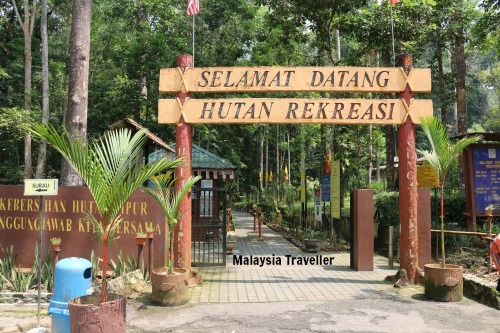 Coming from Semenyih, it is shortly after passing Nirvana Memorial Park and before you reach Semenyih Dam.